As the state tournaments approach, area teams often tend to get the best results from their athletes. After all, this time of the season is when teams and athletes that are still in contention for a conference or state crown have found their stride. And while the high quality of play leads to victories, it can also lead to a good amount of individual success as well. Innovation’s Breanna Santana and Southington’s Chase Galayda have been strong performers for their teams this season, but also rewrote their respective schools’ record books last week. The Innovation girls basketball team needed to win both of its games entering the week to qualify for the Class M state tournament and a reason the Ravens were in that position has been the play of Santana, who has been able to control the paint and the glass. Santana provided plenty of mismatches against Civic Leadership on Wednesday when the junior set a new single-game school record by pulling down 15 rebounds. The Ravens went on to win that game 48-27. So far, so good. On the season, Santana is averaging close to a double-double in CRAL play, according to Jessie. And of course, Santana would like nothing more than to have the Ravens continue their season a little bit longer. She also wouldn’t mind setting some new records along the way either. “I’d like to get some more assists and beat my own record for rebounds,” Santana said. The Blue Knights boys swim team has had an up and down season so far. It fell to 3-4 in a loss to Middletown last week, but that doesn’t mean there haven’t been plenty of notable performances this season, especially from Galayda. The senior has consistently been one of the best divers in the area over the past two season and against the Blue Dragons, broke his own school record in diving by posting a score of 281.45, which placed him second at the meet. Galayda, who missed a previous meet against Plainville earlier in the season while he was competing in a gymnastics event, has been doing well on the diving board in his final season as a Blue Knight, thanks to some things he’s learned as a gymnast. Zagorski has noticed Galayda making sure to land on his head when coming off the board with more efficiency this season, while staying on his feet as a gymnast. “He’s been learning to not just to do the dive, but to finish it well.” Zagorski said. And once the Class LL state meet rolls around, Galayda certainly has the capability to shine there as well. 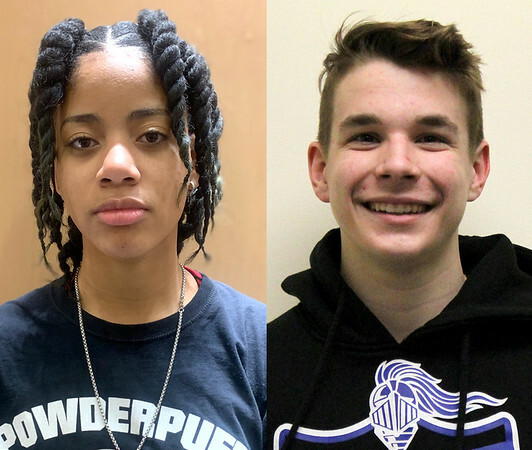 Posted in New Britain Herald, Athletes of the Week, Innovation, Southington on Monday, 11 February 2019 21:50. Updated: Monday, 11 February 2019 21:53.